in 14 positions height adjustable from 90 cm to 160 cm. The Finnlo barbell training station is the perfect completion for a varied training with free weights. Being combined with a weight bench, you can use the Finnlo barbell training station for bench press for building chest muscles and triceps. The barbell station is also essential for exercising the quadriceps with squats. The construciton of the barbell station convinces by flexibility and stability. 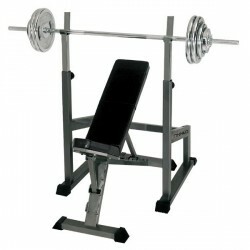 The barbell rack can be loaded up to 200 kg. The training station is adjustable in height and width, so that it can be perfectly combined with other training equipment like weight benches or your barbells. Dit halterstation van Finnlo is kwalitatief erg goed en stevig. Alle materiaal om het in elkaar te zetten zit in de verpakking. De levering werd onderling met de leverancier na telefonisch contact afgesproken. Mooi op tijd en geen beschadigingen.. top! 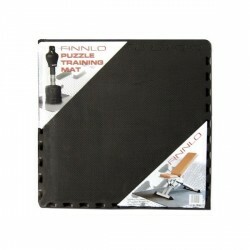 Finnlo weight bench In stock! Less than 5x available, further are coming.